1. Free Platinum Visa Debit Card for Customers. 2. Customers will get flexibility in account number selection. 3. Up to 5 lakh accidental death cover for customers. 4. Zero balance saving account facility. 5. Customers will get advantage in health checkup. 6. Free NEFT and RTGS transaction facility. 2. Get Rs. 250/- BookmyShow Boucher on Issuance of credit card. 3. Accountholder can easily avail discount of Rs 3,000 on a minimum purchase of Diamond Jewelry worth Rs 50,000 and also avail 25% off on Gold Jewelry making charges at Joyalukkas stores on using RBL Bank Titanium First Debit Cards. 4. With RBL Bank Digital Savings Account, customers get a Titanium Debit Card linked to their account. 5. Customers get welcome vouchers worth Rs 2500 with different merchants, when they choose Titanium Debit card. 1. Flat 20% off on hotel bookings on Treebo with RBL Bank Titanium First Debit Card. 2. With RBL Bank Titanium First Debit Card, buy one get one Pizza free at US Pizza. 3. Save upto 12% on purchases at Shoppersstop with RBL Bank Titanium First Debit Card. 4. Get a 15% discount on hotel stays with Keys Hotel with RBL Bank Titanium First Debit Card. RBl bank is one of the fastest growing private sector banks. Bank offers various types of services and facilities for customers. Services are spread by banks through its numerous branches and ATMs. RBL bank offers customized saving account as per requirement of individual and also help them to ease their financial need. With RBL bank saving account customers will get the facility like life insurance, discounts on locker facility, higher interest rate and vital accommodations. Currently bank is offering services to its customer through its 351 ATM and 183 branches across the country. • In case of 10 lakhs or more balance interest rate will be 7.1%. • If account balance is between 1 lakh to 10 lakhs interest rate will be 6.1%. • If account balance is up to 1 lakh then interest rate will be 5.1%. Earn interest on savings – Accountholders can earn interest on their savings account balance. The interest amount is computed by multiplying an interest rate with the account balance. 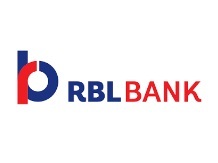 Cashless banking – RBL bank provides complimentary ATM debit card to its accountholders. Now you don’t have to carry cash every time you go anywhere and thus, can have cashless banking experience. Easy access to funds – Despite the fact that your funds are deposited in a bank account, you can still have easy and convenient access to funds anytime and anywhere. The bank has a wide network of ATMs across the country that provides convenient banking facilities like cash withdrawal, fund transfer, mini statement, and so on. Keeps your hard-earned money safe – Unlike risky investment schemes, savings account doesn’t risk your hard-earned money and thus, keep it safe from any market deflation wave. Auto-debit setting – You can enable auto-debit setting so that you don’t have to remember due date of every particular loan or credit card billing cycle. The due amount will get auto debited from the account which will give you a peace of mind. 1. Free internet banking facility that avails RTGS and NEFT transaction facility. 2. Account holder can access their account from any RBL branch across the country. 3. Complete e-statement facility for customers of their monthly transactions. 4. Customers can apply for fixed deposit through internet banking. 5. Account holders will get useful financial tips from finance and account management experts. 1. Apply for loan and you will get up to 25% off on processing fees. 2. Customers will get freedom in selection of their account number. 3. Account holders will get privilege offered by visa. 4. Unlimited cash withdrawal facility and platinum visa debit card for account holders. 5. Accidental cover insurance of Rs.5 lakh and free life insurance with this saving account too. 1. Customers will get free debit card, facility to extend ATM withdrawal limit and unlimited other bank ATM access facility. 2. E-statement, mobile and phone banking, internet banking facility and online bill payment facility for account holder. 3. Free demand draft service for customers without any extra charges. 4. Finance and account management tips from experts professionals. 5. No criteria for minimum account balance. 1. Prime edge account holders will get facilities like internet banking facility, online bill payment facility, unlimited accessing of other bank ATMs and many more. 2. Vidal health offers health benefits for account holders that will allow saving up to 20% on bill of health check up and other medical expenses. 3. Account holders can customize their transaction limit and demand draft ordering limits. 4. Customers will get facility of free medical assistance from more than 1500 diagnostic centers and more than 6000 associated hospitals. 5. Vidal offers free health consultancy for all account holders. b. Discount on Brokerage Charge. c. Offer cover for lens cost and avails discounts 20% on contract surgery. d. Senior citizen will get waiver on account opening charges. e. Recommends best hospital in case of medical emergency for all account holders. f. Offers up to 20% off on dental care services like dentures and root canal treatment. a. Higher security on all digital transaction. b. Bank offer higher interest rate of 7.1% on all deposits. c. Unlimited cash withdrawal that too without any extra charges. d. Missed call and Free Internet Services. e. To activate internet banking facility customer just need to send details about debit card along with PIN number via SMS. f. Facility of gains4sure offers on FD that too in higher interest rate. a. Healthcare services at lowest fees. b. Least charges for locker. c. Discounts and Offers on purchase of selected brand product. d. Customers will be allowed to open account for kids on zero balance. e. After successful account opening, customers will get ad on gift as shopping voucher worth INR 2500.
f. Facility to withdraw unlimited cash across India. 1. As per bank policy, candidate must be 18 years old and Indian residents. 2. Candidates must fulfill all the income related and other criteria as per bank policy. 3. If candidate is applying for executive plus account, then salary must be 50,000 or more. 1. Completely filled application form along with two recent passport size photograph. 2. Authentic address and identity proof documents like PAN card, Aadhar card, voter id and driving license. 3. Salary slip and authorization bonafide letter from employer, if you are salaried employee. a. To know about customer guideline. b. Tip about ATM usage. d. Email Fraud and Phishing. f. Tips for safe internet banking. g. Beneficial points regarding usage of internet banking. h. Pros of aadhaar linking with bank account. i. To collect information about security features to keep account safe and secure. 1. Utility like bill payment via internet is easily available. 2. Bank offers complete security of deposited amount. 3. Other vital facilities like SMS banking, Internet banking and mobile banking. 4. Apart from above describe facility; several other utility will be availed by the respective bank to all registered users. 5. Facility to choose best saving option as per your comfort to give extra strength to your saving opportunity.